A prime beach location with panoramic views of Cottesloe Beach, Rottnest Island and the Indian Ocean. Enjoy a delicious meal at one of the three Cottesloe Beach Hotel’s scenic restaurant bars ; Cott & Co. Fish Bar, The Beach Club & Verandah Bar. The hotel is close to public transport, cafés, shops, scenic walkways and cycleways, a golf course and the beach. Executive Escapes is perfect for those people who enjoy the comfort and independence of having your own space. Whether you are searching for Cottesloe accommodation, business accommodation, honeymoon destinations or wedding accommodation for your guests in Perth, Executive Escapes can provide some of Perth’s best self-contained apartments for rent, located around the CBD to Perth’s most prestigious seaside suburb of Cottesloe Beach. Situated on Marine Parade in Cottesloe, the Ocean Beach Hotel is one of Western Australia’s living landmarks, superbly located close to many of Perth’s attractions. Being just 20 minutes from the city, the Ocean Beach Hotel offers the complete experience; with accommodation; the C-Blu Restaurant, 2 bars and function facilities all overlooking the sparkling beaches of Cottesloe. 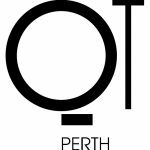 Perched in Perth’s trendy hub, QT Perth is a boutique hotel like you’ve never seen before, in the heart of Western Australia.